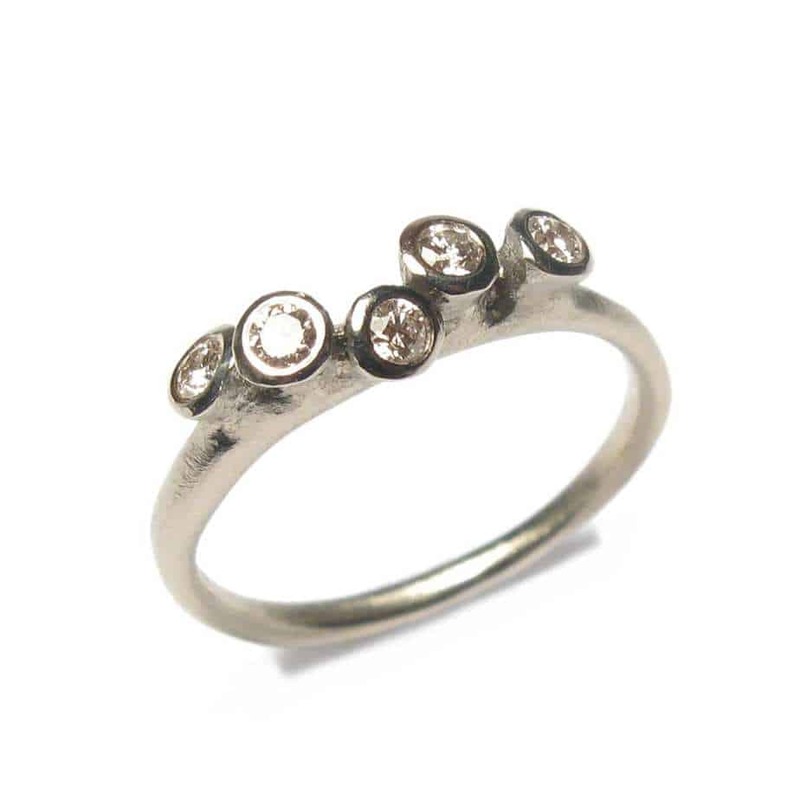 A beautiful 18k white gold multi set ring with five brilliant cut brown diamonds. We thought you would like to know has been eyeing up our 18k White Gold 5 Champagne Diamond Ring for some time now and has requested we bring it your attention. What's your question about 18k White Gold 5 Champagne Diamond Ring? A stunning organic ring in 18k white gold featuring 5 round brilliant cut brown diamonds (0.03ct each) in full bezel settings. The bezels are set in an organic undulating pattern while the band has a soft filed finish. Ring Size: I. Band Width: 1.5mm. Band Profile: Soft Square. Setting Dimensions: 18mm x 5mm.